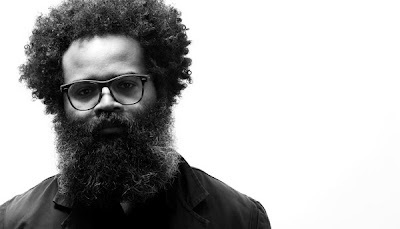 Here's another example of me going to a show to get a glimpse of the opener; in this instance, I wanted to check out TV on the Radio's Kyp Malone's solo project, Rain Machine. Opening for the talented Jolie Holland at 92YTribeca, Malone was indeed solo this evening. Typically Malone would have a backing band alongside him but tonight seemed to be the exception to the rule, standing alone center-stage, guitar in hand. Don't be fooled, his music translates well even without his counterparts. In all honesty, Jolie Holland had a very great set as well and I will post a few videos when edited and uploaded; she performed alongside Gersten and Shahzad (and Kyp during her opening song). Mostly new material from her upcoming album, her set was beautiful and she is an extremely talented and versatile artist and is definitely worth catching.